Stocks dropped Wednesday as 2019 trading began. The Dow Jones Industrial Average fell as much as 398 points before paring its losses. 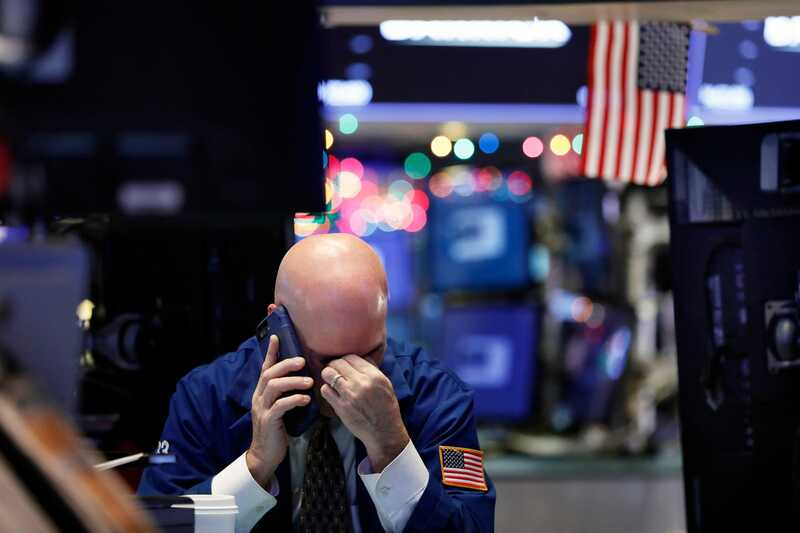 Stocks kicked off 2019 sharply lower Wednesday after recording their largest annual losses since the financial crisis, as a flurry of concerns ranging from political turmoil to slowing growth expectations continued to weigh on Wall Street. The Dow Jones Industrial Average fell about 400 points, or more than 1.7%. The S&P 500 slid 1.2%, and the Nasdaq Composite was down 1.4%. On Monday, stocks completed their worst year since 2008 following a dramatic week of trading. Markets were closed Tuesday for New Year’s Day. Oil prices declined as much as 2.3% amid concerns about oversupply and expectations for slower demand before reversing sharply higher. Both West Texas Intermediate and Brent were up more than 3.5%, at $46.90 and $55.70 a barrel. Turbulence in Washington hasn’t helped the mood, with the federal government entering its second full week of a partial shutdown. House Democrats retaking control of the chamber plan to pass a proposal to reopen the government Thursday as the 116th Congress convenes, but it could face opposition in the Senate or from President Donald Trump. High-flying technology shares were among the largest decliners Wednesday, with Apple, Amazon, Netflix, and the Google parent Alphabet shedding up to 3% before paring their losses. Boeing and Caterpillar, two trade-sensitive companies, lost more than 2% each after The New York Times reported that the Trump administration would most likely maintain a hard line on Beijing ahead of the scheduled March end of a truce between the largest economies. Elsewhere, shares of Tesla plunged nearly 8% after the company said it delivered fewer Model 3 vehicles than expected in the fourth quarter. The electric-car maker also lowered prices on its models by $2,000 to help offset the halving of federal tax credits for Tesla vehicles that took effect this week. Wall Street’s decline reflected risk-off sentiment around the globe as a string of manufacturing data abroad pointed to slowing growth. After China’s factory activity in December fell for the first time in more than two years, Hong Kong’s Hang Seng Index (-2.77%) had its worst start to the year since 1995. The Shanghai Composite was also more than 1% lower. In Europe, the IHS Markit Purchasing Managers’ Index reading for the region slipped to its lowest since early 2016 and moved closer to contraction. The pan-European Stoxx 600 and the FTSE 100 in London each stumbled nearly 1% following the results. Investors will be focusing on the latest snapshot of the US economy this week, with the jobs report out Friday.